The OnePlus comes with their latest flagship smartphone named “OnePlus 5”. The premium quality smartphone with unique craftsmanship and high configuration can be compared with other latest flagship available in the market. 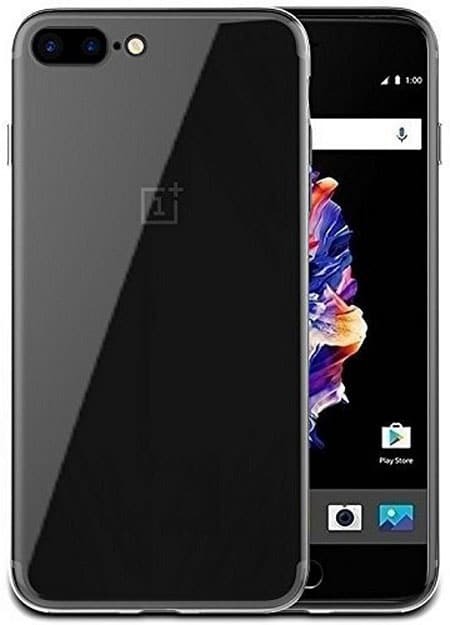 With the gorgeous design and best performance, you probably want this latest smartphone from OnePlus if you are an aged fan of them. However, if you have already get one, then it’s time to look for a best quality case or cover. A premium quality case or cover will help to protect your OnePlus 5 from an accidental drop or scratch damage. It also helps to keep your phone as like as new. 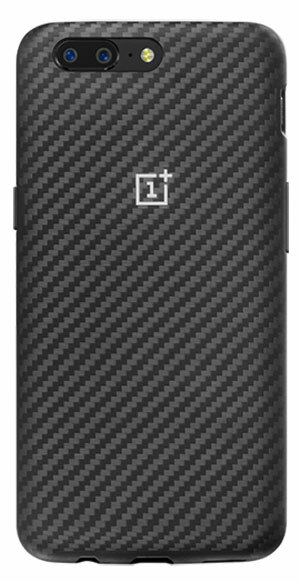 There are some official cases and covers available from OnePlus, and we also include some more from Amazon in this list. So let’s check our recommended Best OnePlus 5 Cases and Covers. 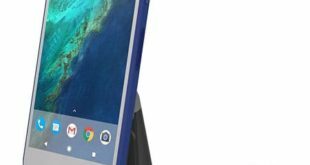 Hope, you will find this list of Best OnePlus 5 Cases helpful to choose the ideal one that will protect your phone. We also keep updating the list as more cases and covers become available in the market. Started with the official one, the OnePlus 5 Karbon Bumper Case that comes with military grade protection. The case made of DuPont™ Kevlar® fiber and premium quality rubber to ensure maximum protection against drop or bumps. The textured design will hide your OnePlus 5 original look, but also make your phone more appealing. The all corner protection with raised edge will keep your device screen, camera, and button safe from drop damage. However, the comfortable grip makes the case perfect for smooth operation. Overall, the case could be the best option for those people who are a crazy fan of official accessories. If you don’t want to hide your OnePlus 5 original outlook, then a clear case is the best option. The Orzly FlexiCase came with a crystal clear case for the OnePlus 5 with laser cut and snug fit design. The simple design case can protect your phone from light to medium drop or scratch damage. The precious cutouts let’s access buttons, camera and other hardware ports easily. The soft and flexible design also allows for interest or remove the case quickly. 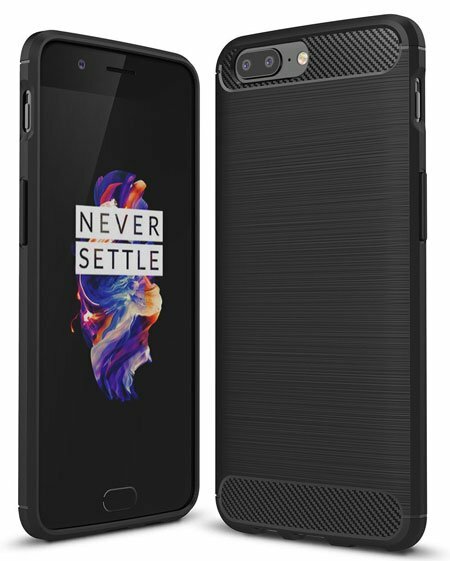 Overall, the case is a great option if you are looking for a cheap price OnePlus 5 case. Considering excellent protection, the OtterBox is one of the well-known and famous smartphone accessories brand. They are mainly popular for their premium quality and expensive smartphone cases. The OtterBox comes with a dual layer case to keep your OnePlus 5 protected. The case can protect your phone from massive drop, bumps, scratch and can absorbed heavy shock. 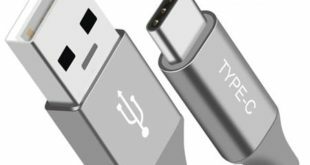 The slim design won’t bulk your device but will add some extra weight. 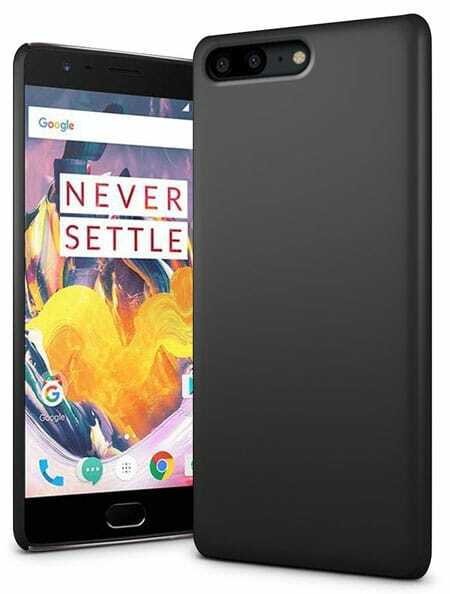 However, OtterBox ACHIEVER SERIES Case is the best option for those people who want an excellent protection for their OnePlus 5. 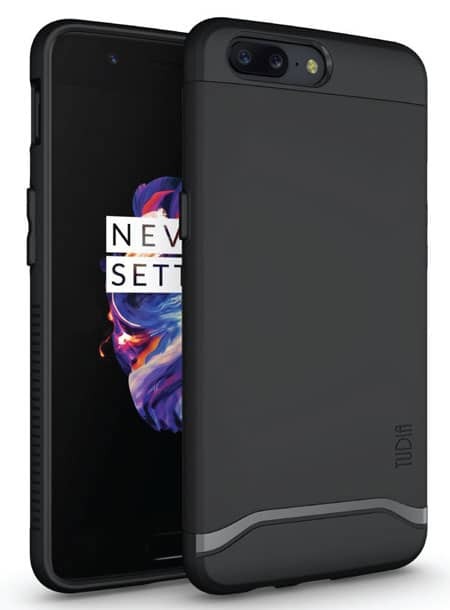 If you are looking for a heavy duty case with a slim design to protect your OnePlus 5, then you can consider the TUDIA OnePlus 5 Case. You will find the price is also reasonable when you compare the protection and design with other similar cases. The dual layer protection will keep your device safe from inner scratch as well as a drop or shock damage. The raised lip also keep your phone screen safe from ground touch and scratch. The case is available in four different colors including Matte Black, Metallic Slate, Mint, and Rose Gold. 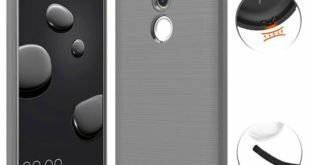 The KuGi Oneplus 5 Case is a premium looking case that available for less than 5 bucks. 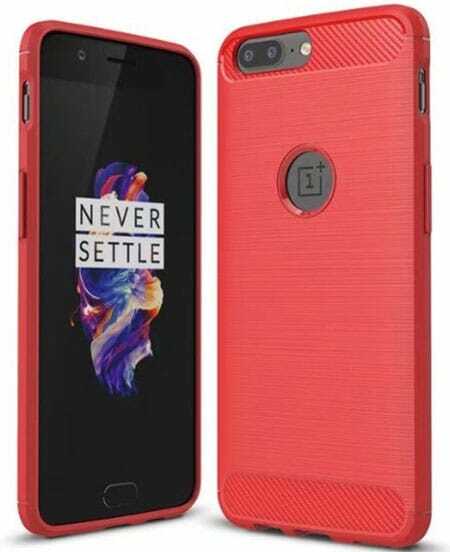 Anyone can’t notice that this is a cheap price OnePlus 5 case. With the nice appearance and handy design, the case made of Soft TPU material to protect your phone from an accidental drop or scratch damage. The ultimate protection with raised lip and especially build corner impress us to add this case to this list of Best OnePlus 5 Cases. 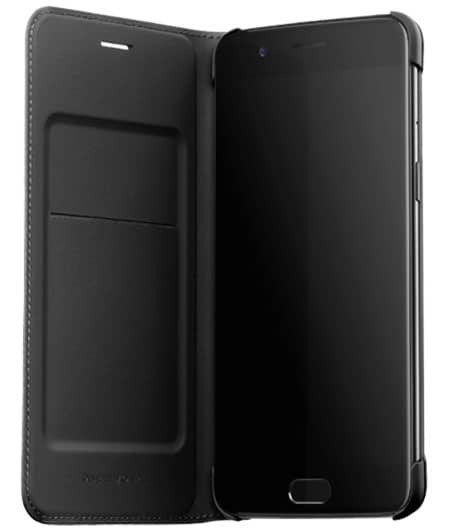 Overall, this could be the best choice if you are looking for a cheap price case to protect your OnePlus 5. The Mangix brings a rugged armor design case for the OnePlus 5 to keep it protected against drop, scratch, and shock damage. 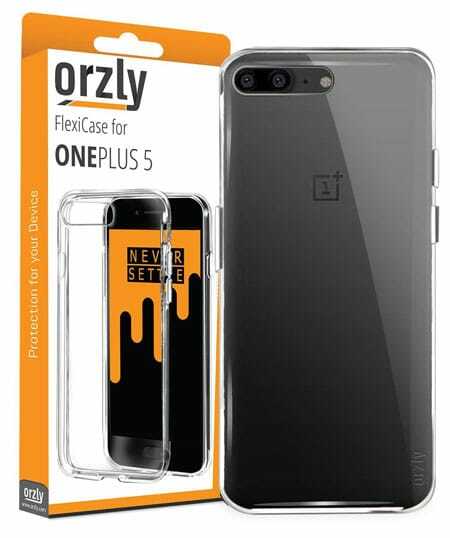 The compact and elegant design of this Mangix case impress us to add in this featured OnePlus 5 case list. The inner soft and flexible TPU layer and the outer Carbon Fiber pattern will protect your device without adding extra bulk. And the case available in 4 different colors including Red, Black, Blue, and Gray. 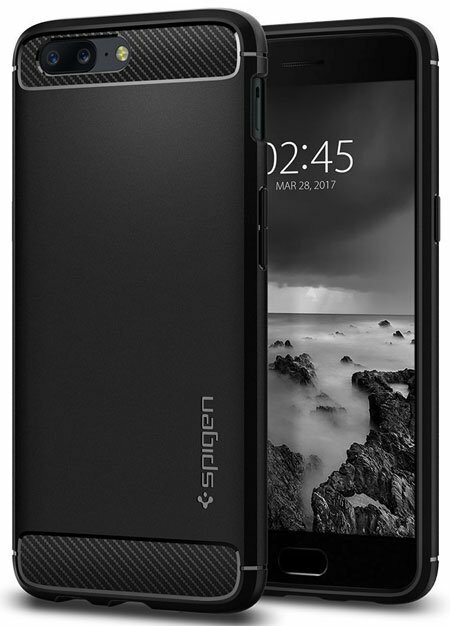 Another great option for those OnePlus 5 users who are looking for a cheap price but premium quality crystal clear case. The lightweight and flexible TPU materials used in this Vigeer case to ensure maximum protection against drop or scratch damage. Although the case will cover the device button, it specially designed for natural and responsive feel. The raised lip in the camera cutouts will keep the camera safe from ground touch as well as scratch. The soft and flexible design also allows to insert or remove the case on your device easily. An official flip cover from OnePlus to protect your new OnePlus 5 from any kind damage and scratch. Personally, I don’t like a flip cover because it hides my phones original look, but I know some of my friends and colleagues who are a crazy fan of the flip cover. They like the flip cover because it protects their smartphone from all corner. A flip cover also keeps the smartphone screen safe from scratch and fingerprints. However, if you are looking for a premium quality and official OnePlus 5 Flip Cover, then this one is the best option. 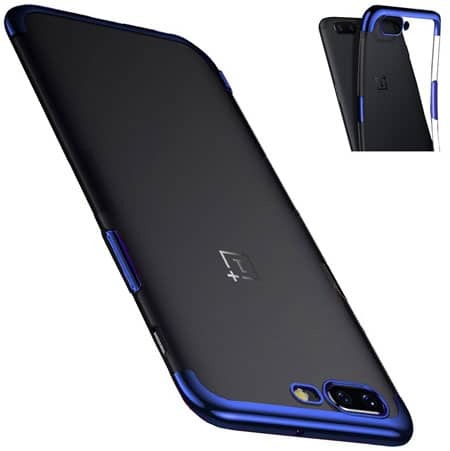 If you are looking for a simple and plain hard back cover to protect your new phone, then you can consider this OnePlus Back Cover from SLEO. The back cover provides extreme protection against drop, bumps, and scratch without adding extra bulk. The non-slip matte surface ensures better grip to operate your device easily and keep it safe from accidental drops. The case is available in five different colors. 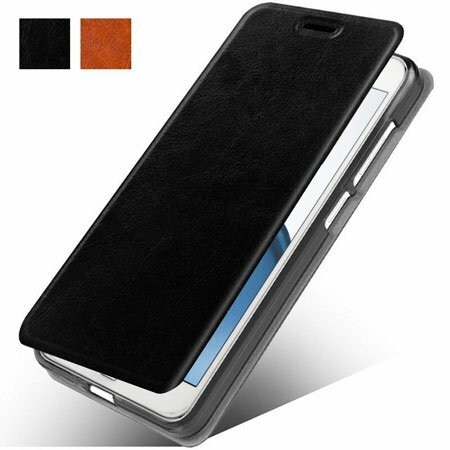 Using a leather case is a great idea to protect your smartphone from all corners and make it gorgeous. The MicroP comes with a premium quality leather case for the OnePlus 5 that available in Black and Red colors. The case specially designed for the latest OnePlus 5 smartphone and made of Premium quality PU leather. The flip design will keep your device screen safe from scratch or fingerprints. There are a card slot and built-in kickstand available in this case. The Spigen Rugged Armor OnePlus 5 Case is one of the best-selling, and top rated OnePlus 5 Case on Amazon. 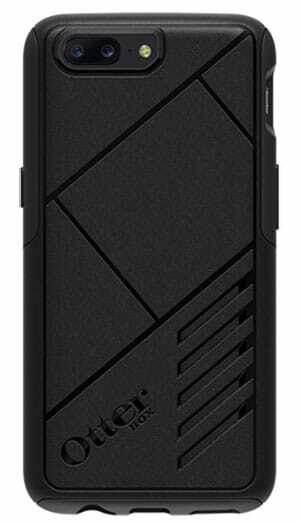 The case comes with heavy duty protection with carbon fiber texture and glossy design. The single layer TPU makes this case lightweight enough without compromising with protection. The raised edge on the front and back side will keep your device screen and camera safe from ground touch. Overall, this Spigen case is one of the best OnePlus 5 Cases currently available in the market. Looking for a thin OnePlus 5 case that comes with extreme protection? Well, the Vinve comes with an OnePlus 5 case that comes with Metal Electroplating Technology to ensure ultra-thin design. The case available in four different transparent colors including crystal clear, charm black, charm blue, etc. The flexible and maximum wear resistance feature will help to keep your device safe from scratch, drop or bump damage. Some people love to use a hard back cover to protect their smartphone from scratch or accidental damage. 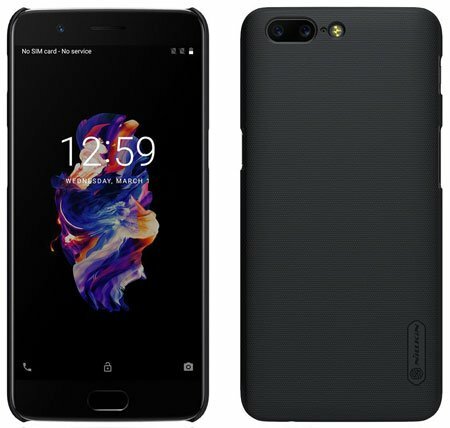 If you are one of them and looking for an OnePlus 5 Hard back cover, then this one could be the best option. The Nillkin frosted shield hard PC back cover available in Black, Gold, Red and White colors. The lightweight plastic hard back cover can protect your smartphone from scratch, dust, fingerprint and drop damage without adding extra bulk. And the UV coating technology used to make the surface smoother. In terms of great protection, you can consider a heavy duty case like TUDIA one or a Flip Cover like the official one on our list. You can also choose a crystal clear case if you don’t like to hide your OnePlus craftsmanship. However, all of these cases in our featured list of Best OnePlus 5 Cases and Covers come with shameless protection, so that you can choose any one. You can also let us know in the comment section if we missed to include your favorite one here. Previous What is the Best Free Dialer App for Android Devices? WOW, what a great selection of cases for the OnePlus 5! I’m loving all the choices. And as someone that has a tendency to drop my or bang my phone, a tough case even if it doesn’t look gorgeous is a requirement. However, these choices give me looks and durability. Thank you!